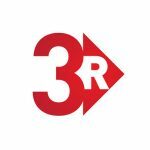 Legacy IT Consultants Limited are pleased to announce a collaboration with leading recruitment software provider 3R. 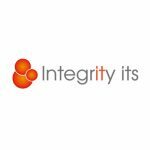 We are working with 3R with input from leading jobs boards and specialist recruitment firm Integrity IT Solutions Limited to ensure that the 3R software can support their customers on their journey towards GDPR compliance. Our partnership will ensure that all aspects of the GDPR are taken care of, with particular emphasis on those that are problematic in terms of process, or introduce a high risk to the recruitment business. Our advice is ensuring that the recruiters can manage their candidate and client data in accordance with the GDPR. Our accompanying ‘GDPR Information Pack For Recruitment’, which will be available to any recruitment organisation, provides advice that can be applied across any recruitment business independent of their CRM. It will also contain an awareness pack, including a poster campaign and presentations broken down into manageable chunks. The pack will be available from February 2018, with a 25% discount to 3R customers. We have recently added a legal element to our management team, and will also be able to offer ongoing compliance support in the run up to GDPR enforcement and beyond. Legacy IT Consultants are pleased to announce an engagement with SBTP Group Limited through Kind Consultancy, to provide oversight on their GDPR activities for their current brands, and to ensure that their future business activity starts on the right path both from a GDPR and technological standpoint. Legacy IT Consultants Limited continue to work with Instant Cash Loans to ensure that their portfolio of businesses are compliant with the GDPR in time for the May deadline. We have supported them throughout their GDPR journey, helping to build their team and structure their programme to give them a clear path towards compliance. We even advised them on secure document destruction! In addition we provide a GDPR blog for financial services organisation Acceptcards. The General Data Protection Regulation came into effect on the 25th May 2018, and it is clear that there are many myths surrounding the EU regulation. At a recent conference an audience of technology leaders were asked whether they have a GDPR related project on their books, and of the 50-60 attendees only one confirmed that they are working on the implementation of GDPR. We worked with Legacy IT Consultant Ltd for our GDPR transformation project, they are the lead consultants on this. They listened carefully to fully understand the nature of our business and brought a tailored solution that works. The depth of knowledge they have of the GDPR and the how it translates into technical requirements within our industry has helped us redevelop our CRM and finance system and embrace consent, customer rights, pseudonymisation and many other principles to ensure compliance, a must post May 2018. We could not have achieved this level of compliance without their comprehension, understanding and support. They really impressed us and we would not hesitate to work with them again on future projects. We have previously provided candidates for Legacy IT Consultants Limited, and we had no hesitation in engaging them for our GDPR project. Their recruitment specific education pack explained the regulations in terms that our staff could understand. Their team demonstrated what changes we needed to make to our processes and policies to comply with the GDPR, and they worked closely with us to achieve this compliance. At the same time we chose to adopt a new GDPR compliant CRM, and their technical expertise ensured that the selection and integration into our business went smoothly.